Certified. 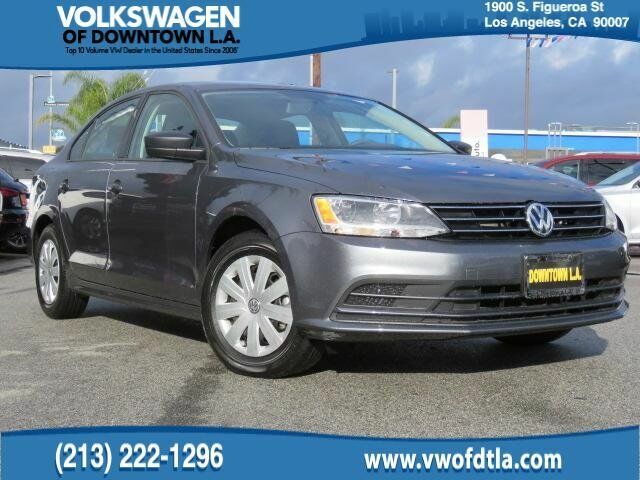 Platinum Gray Metallic 2016 Volkswagen Jetta 1.4T S w/Technology MULTI POINT SAFETY AND MECHANICAL INSPECTION PERFORMED BY CERTIFIED TECHNICIAN, FRESH OIL CHANGE, NEW WINDSHIELD WIPERS, DETAILED INTERIOR/EXTERIOR FOR DELIVERY, Volkswagen Certified Pre-Owned, Bluetooth Hands Free, TIRE ROTATION PERFORMED, FRESH ENGINE AIR FILTER, FRESH BRAKE FLUID EXCHANGE, Jetta 1.4T S w/Technology, 6-Speed Automatic with Tiptronic, Platinum Gray Metallic, Titan Black w/Cloth Seat Trim, Brake assist, Electronic Stability Control, Remote keyless entry, Steering wheel mounted audio controls. CARFAX One-Owner. Odometer is 7137 miles below market average! 28/39 City/Highway MPG FWD I4 6-Speed Automatic with Tiptronic Clean CARFAX.